beconing to be the next. My colleague and car pool mate Nayak informed me that he is planning a trip since there is an offer in GoAir in which round trip air fare would be 5k inclusive of tax and airport fee. I called my wife and booked the tickets the same day. I knew a few who would be interested and checked with them as well. The cost was coming close to 10k per person and people agreed immediately since it would be the first time that everyone was boarding a flight (expect me). There were a few grumbles as well from those who could not make it. The touring party cosisted of 6 adults and my kid and the entire trip was for exactly 7 days. I went ahead and did all the booking on my own (no packages, no travel agencies). I searched and found ‘Car Rental Delhi’ run by one Bobby Takur. He gave us an new Innova A/C for all the 7 days for a very good price. 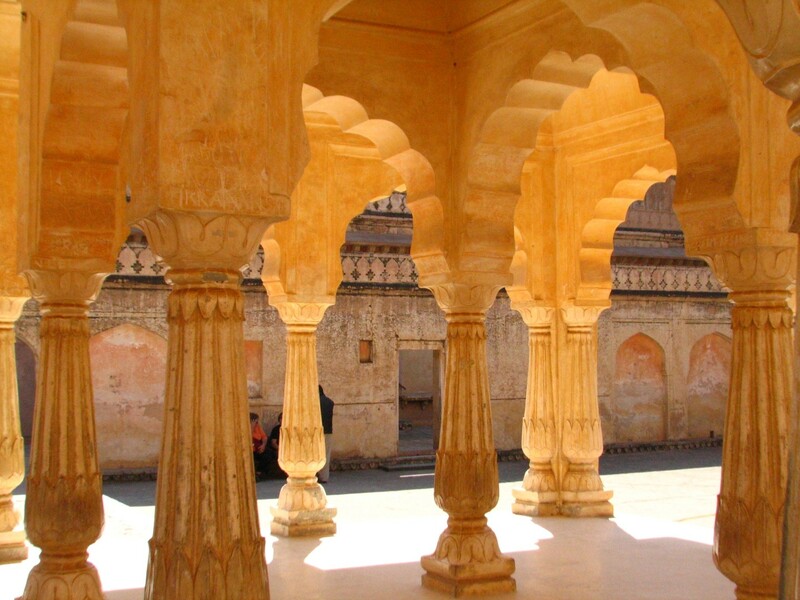 Similarly I booked hotels in Agra (Tourist Rest House) and Jaipur (Pearl Palace) all by searching over the net. In Delhi my relative was supposed to get the stay arrangements done. Everyone was up around 3.30 A.M as one of the heaters in our bathroom had stopped working a few days back. By 5.00 everyone was ready and we left home by 5.40 A.M. The checkin was smooth and GoAir surprised us with a complimentary tea/coffee. We had breakfast in the Airport itself and boarded the flight. There was a crazy fight for the window seat and in the case of my brother-in-law I was worried if it would end in a divorse. Even my wife and kid had a tussle. I had paid 50 Rs per seat extra to make sure we sit near each other and get one window seat per family. The entire experience with GoAir was nothing short of amazing, be it the checkin, the aircraft, cleanliness and the service. It was top notch and I had to remind myself that I am in a budget aircraft. Hats off to them for this and hope they continue it. Both the landings were also extremely smooth even in slightly bad weather. We landed and were out of Delhi Airport by 11 A.M. My relatives were there to receive us and so was our Cab driver with our name and the company logo on it (spot on). We wished our relatives bye and headed off to Agra. The driver was a senior person and drove sedately at 80 K.M per hour. The NH was a bit congested and the roads were not very smooth (compared to say the Bangalore-Krishnagiri route). 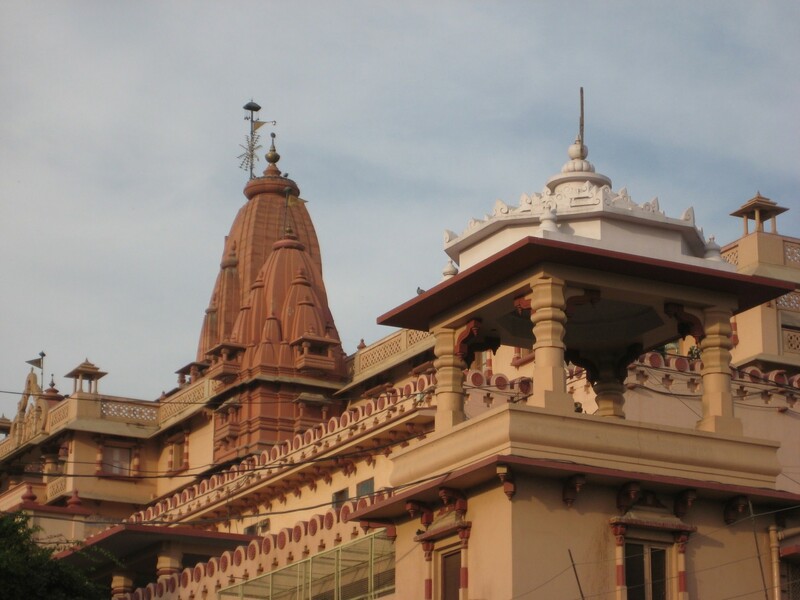 On the way we stopped at Mathura to have a glimse at the birthplace of Krishna (we did not get inside the temple). We saw the SA-India match (first ODI) in the nearby tea (sorry) Chai shop. We got some beautiful pictures on glass frame for a measly 10 rupees per piece (I did not even think about bargaining). It was nicely done and had the frame been a bit better could have easily been sold for 200+ rupees in Bangalore. Then we saw Sikandra on the way (did not get down as it was getting late). It was beautiful. I called up the hotel guy and told him that we are getting a bit late. We reached Tourist Rest House by 7.00 P.M. The road and the outside of the hotel must have alarmed my wife and she said that she had assumed it to be some sort of hostel. 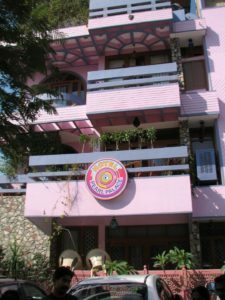 Once you are past the main entrance it is a bliss. The hotet is simple but clean and quite good. We had 3 rooms and they had T.V (our room did not have one but anyway we were watching the match together in one room) hot running water (the flow was not very fast though) and a great candle light restaurant (the food was good but not great). We had dinner in candle light. The match was sensational and we won by 1 run in the last ball (thanks Praveen Kumar). I wanted to be the first person in the ticket counter when Taj opens (at 6.00 A.M) but owing to the fact that not share the same enthusiam ended by at 7.00 A.M (only good thing is that ticket price is 110 at 6.00 and only 20 at 7.00). You will NEVER be able to spend a 20 rupees in a better way in your life. Taj is amazing. I could not take my eyes off her or stop my camera from clicking on. We filled up 4+2+1 = 7GB at Taj alone. I will not explain anything about it as one must see it to experiene it. I got a mini Taj made of proper marble with work nicely done for 2k in the Govt Handicrafts within the complex. It was not only nicely done but you can even take it out in parts and later assemble it. They had it nicely packed and put the parts in a jewelery box so that it could be checked in. (I still carried it in my cabin baggage). 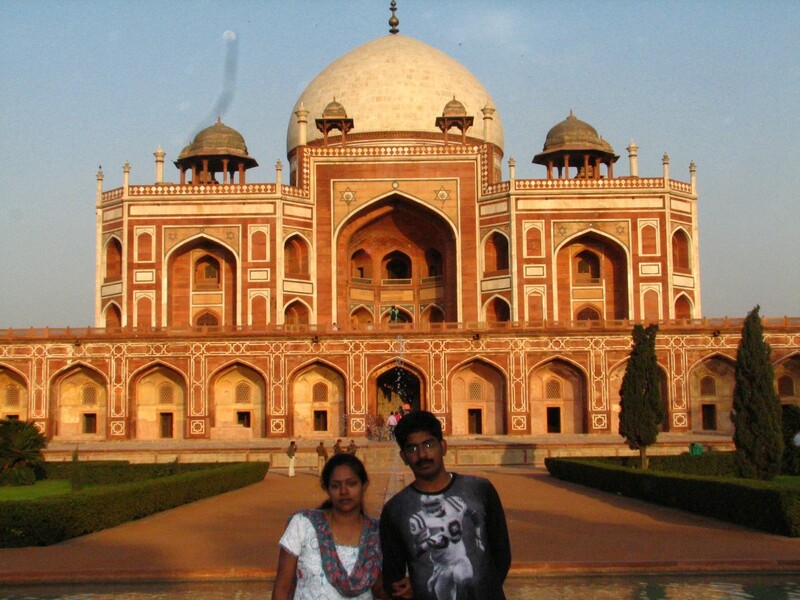 Agra is easily the worst among the 3 cities we visited. The amount of tout problems is just too much to bear (I shudder imagining the state of foreigners who have to deal with them). 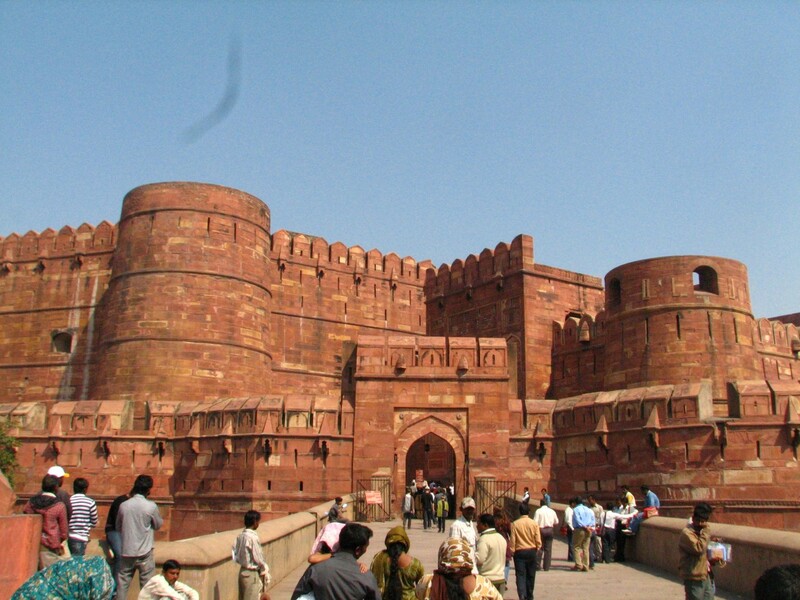 Our next stop was the Agra Fort. We had breakfast in a nearby roadside hotel (running short of time to find a good place), but the aloo parata was still quite good that I had 2. Those who tried ordering the Dosa were shocked at what was being called as dosa. Lesson learned – When in Rome be a roman. Agra fort was nicely done and we saw the place where Shah Jahan spent his last days looking at Taj. 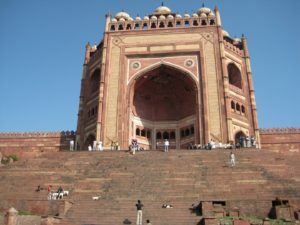 We started off a bit late and ended in Fatehpur Sikri by 10. AM. We took an auto for 80 rupees (2 way) and saw the city that Akbar built and later gave up due to scarcity of water. It was a nice experience. We then ate breakfast at Sher Punjab restaurant and the parathas there were the best so far. 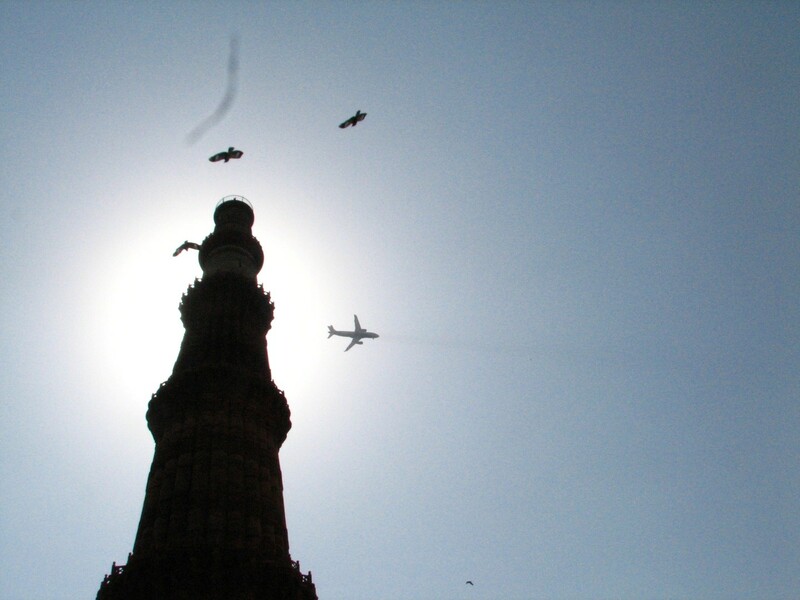 Then we left for Jaipur. This NH was amazing and the drive was very pleasant. We reached Jaipur by 3.00 P.M and then checked into Hotel Pearl Palace. food was quite good. We then went ahead to Jaipur Bazar in the old city. 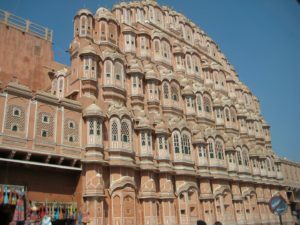 Jaipur is one huge shopping mall and the entire old city is bustling with activity in the small 6 feet x 6 feet shops, which are in hundreds (may be in thousands) in that area. We came back exhausted and had our dinner which was also good. We woke up a bit late and ended up at City Palace by 10.00 A.M (it opens at 9.30 A.M). 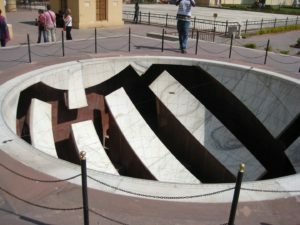 We first visited Jantar Mantar and were awed by the scientific acumen that the rulers possessed. 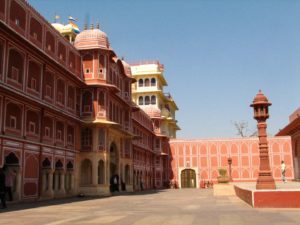 Then City Palace which was also unique and we knew that we won World Polo championship led by the then King of Jaipur. We next headed to Hawa Mahal and found that it was really worth it. By then we were hearing the scores through SMS from Pondicherry and knew that it was going well for India. Still we wanted to see the action and after doing a bit more shopping ended up at the hotel by 3.30 P.M. I had a feeling that Sachin would score a hundred that day and said so to Thiagu. What I did not know was that he was going to hit a 200. It was a magical innings from the God of cricket and when he reached 180 I knew he would make sure he hit a 200. The way he played after that confirmed by belief and in the last over it was the master who became the first person to hit a 200 in ODI. We also had to go back to the bazar to get Kayar’s saries. We slept happily that day. The next morning we went to Amer Fort on top of the hill. We did not take the elephant ride (it felt costly at 600 for 2 would have cost 2k just for a mere 100 meters of elephant ride). We then visited the fort. We took a guide who did very well that we paid him 200 rupees instead of the 150 that he had asked us earlier. He explained everything in detail and we were awe-stuck at how the kings had lived their live. We now fully understand what is meant by the term – a king’s life. We then went to the Govt handicrafts which was beautifully maintained and had lots of items to buy at a very reasonable rate. I got gifts for my office staff as well from them. 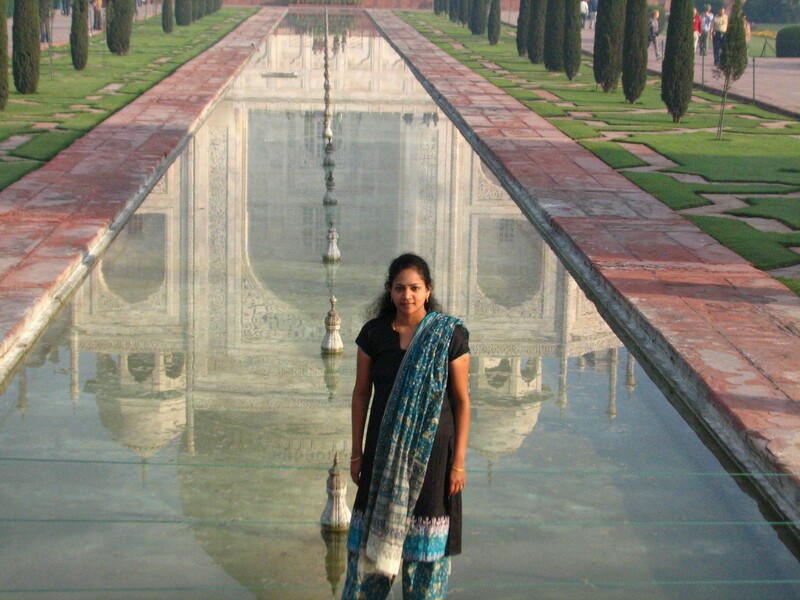 They also have a Taj made to scale (not for sale) which is a must see. The carpets were beautiful and quite reasonably priced here. Actually the stay arrangement made by my relative had some issue and hence I had to make my own arrangements just yesterday. We tried all the hotels in ‘Lonely Planet’ book but found them to be all full. Finally after much searching in the net (thanks to Pearl Palace’s Net facility) I found the hotel that I had tried to book earlier (even before my relative’s accommodation suggestion) and got a family room for 3000 per night. So I called them up to inform that I would be late since our plan included a visit to my relative’s place too. He said even if you come at 1.00 A.M your room will be there for you and we ended by exactly at 1.00 A.M. We visited Ambience Mall in Gurgaon also. At my relative’s place everyone had a well prepared home food after many days. Hotel Pearl Plaza was really good. 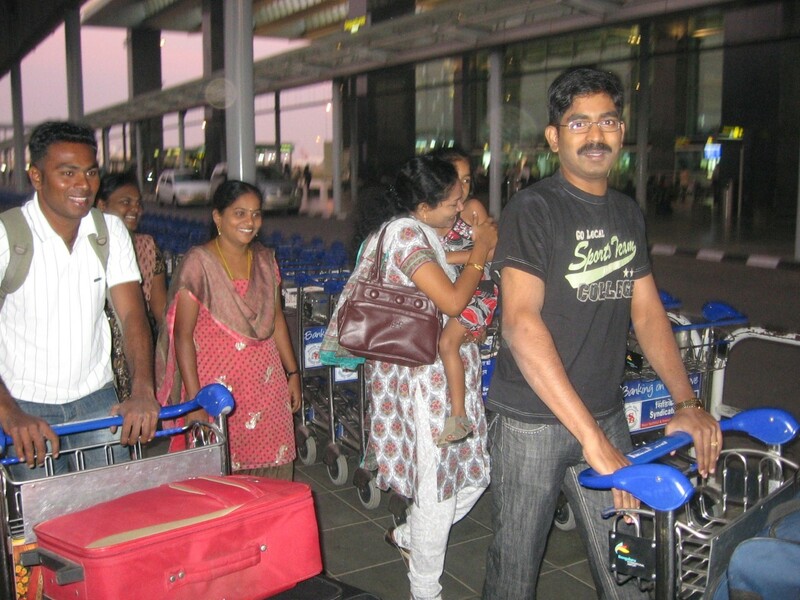 We just had 2 days for delhi because of our relaxed mode and we did not worry about that. 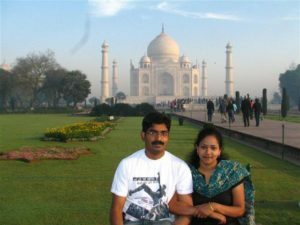 We saw the Rashtrapati Bhavan, Parliment house (where the budget was being presented by Finance Minister Pranab Mukerji on the same day, India Gate from inside the car (there were extra security measures that day). 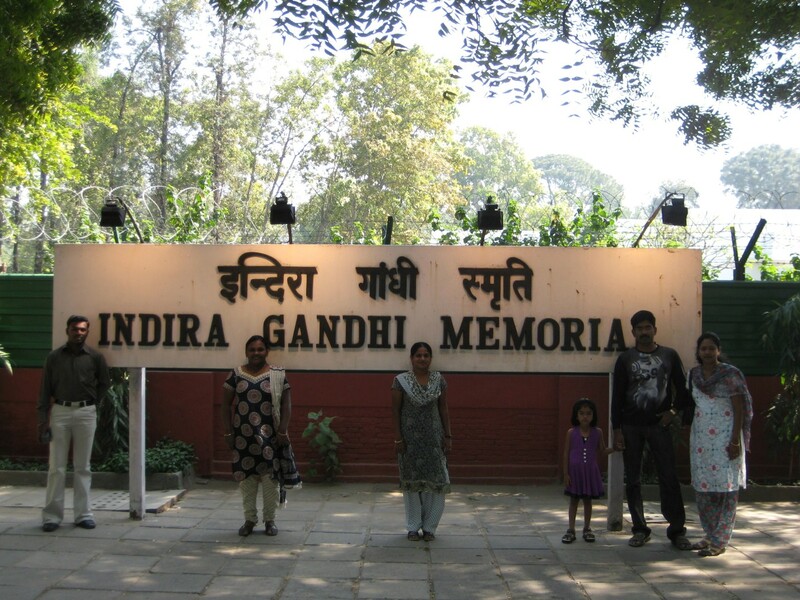 We then went to Indira Gandhi Memorial and Mahatma Gandhi’s house. 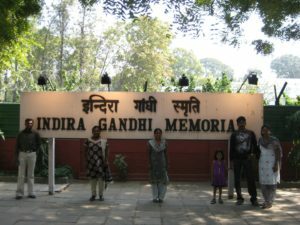 The Indira Gandhi’s house was very well maintained. Then we went to see Qutub Minar, Lotus Temple and Humayun’s Tomb (my wife was very particular about this as there is a Tamil song with lyrics that suggested that no lady has ever built anything for her husband). The write probably failed in history since Humayun’s tomb was built earlier to Taj and was in fact an inspiration for Taj. We went to Sarojini Market and had a great time testing our bargaining skills. One example – a sunglass was quoted for 1200 and we still didn’t buy it at 100. The price came down to 50 before we left the place. Dress materials were good and can be had at a bargain here. 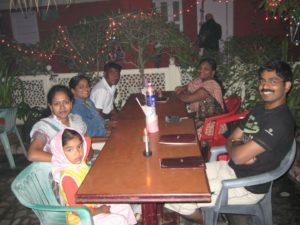 The last day – and we did not have any plans to go for sight seeing. So half a day at the market (more shopping and some more shopping) and have a day at the fun city and back to the airport. We had masala dosa at the Delhi Airport (nothing else was available) for 80 rupees the costliest masala dosa ever along with GoAir’s complimentary Tea/Coffee. We boarded the flight which was again on time. Another similar fight ensued for window seat and we were back at Bangalore Airport at 12.30 in the night. We hopped into 2 easycabs and came home.I have to sort out the 14 GB of photos and videos.